A graceful, contemplative volume, Camera Lucida was first published in 1979. Commenting on artists such as Avedon, Clifford, Mapplethorpe, and Nadar, Roland Barthes presents photography as being outside the codes of language or culture, acting on the body as much as on the mind, and rendering death and loss more acutely than any other medium. 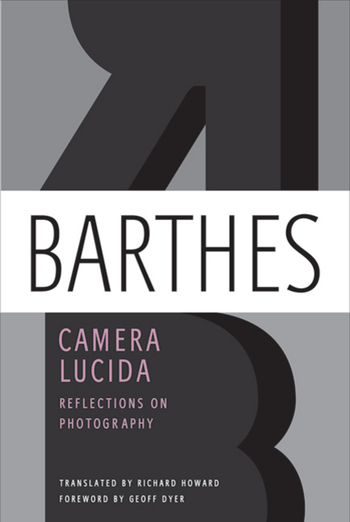 This groundbreaking approach established Camera Lucida as one of the most important books of theory on the subject, along with Susan Sontag's On Photography. ROLAND BARTHES was born in 1915. A French literary theorist, philosopher, and critic, he influenced the development of schools of theory, including structuralism, semiotics, existentialism, social theory, Marxism, and post-structuralism. He died in 1980.